Catch the Ace has now started in Centre Wellington. 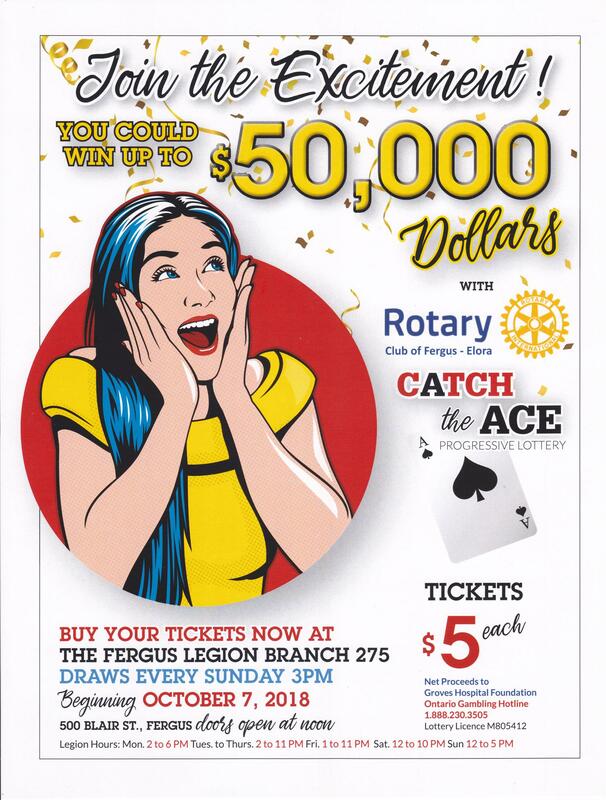 Tickets will be available starting September 24, 2018 at Fergus Legion for the 1st draw on October 7, 2018. Enter the Legion Club Room from the east entrance.